The law offices of LS&P Lawyers have experienced, reputable, intelligent defense attorneys. Together, our team has over 35 years experience representing clients in all criminal, DWI, and motor vehicle violations cases. Our team includes an attorney with certifications in DWI defense including courses in Alcotest and field sobriety tactics used by the police for determining if someone is driving over the legal limit. Our clients are our priority. There is no such thing as an inconvenient time. We are available 24 hours a day, 7 days a week. Call us to discuss your case. We will answer any questions you may have and begin strategizing your defense. Reach us at 908-709-0500. Why would I be tried in Elizabeth Municipal Court? 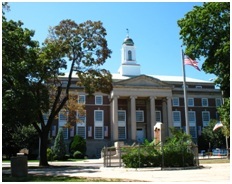 The Elizabeth Municipal Court oversees cases in which individuals are charged with disorderly persons offenses, traffic violations, and DWIs. The typical disorderly persons offenses tried in Elizabeth Municipal Court include underage drinking, harassment, simple assault, disorderly conduct, criminal mischief, resisting arrest and possession of less than 50 grams of marijuana. The court also handles all motor vehicle summons issued within Elizabeth. The consequences stemming from a conviction of any of these offenses can be harsh. Large fines, fees, a criminal record and potential jail time are all possibilities. To maximize your chances at avoiding these consequences you should hire expert legal representation. Members of our firm have won in this court before and will put their prior experience to use for your case. The Elizabeth Municipal Court is presided over by Hon. Roman A. Montes. He has 20 years of experience practicing law. This Court handles individuals charged with all sorts of criminal and traffic offenses. Don’t hesitate to call us. Be prepared when you walk into Elizabeth Municipal Court. Having expert legal representation is your best defense. At LS&P Lawyers we are ready to advocate for you. Schedule an initial consultation by calling 908-709-0500.